Noticeable success after few weeks! Using the Slendertone Connect, you get an innovative abdominal muscle machine, which offers you a complete workout for your abs. It's technologically high-quality and very effective. Thanks to the extra-slim design of the abs belt, its improved compression, and the extra-flat control unit, you can do your training anywhere and at any time. The control of the training intensity is done via the smart phone. The control unit on the belt can be charged by means of USB. The five language Slendertone App is very user-friendly, very easy to install, and offers unlimited functionalities for an individual and diversified training experience. Five interactive and very intensive EMS training programmes are available for strengthening your trunk muscles, tightening your abs, and reducing your abdominal girth: special abs programme after pregnancy, workouts for trunk muscles for beginners and advanced users, workout for keeping in shape, special waist programmes. Every week, your personal coach Slendertone Connect sends you a personalised report about your progress as well as practical tips which help you to achieve your targets. In addition, you get training reminders and motivation supports. Each EMS Slendertone training is awarded with F.I.T. Points. Collect these F.I.T. Points until your toning weekly target is reached and collect your results by means of before-after-photos. 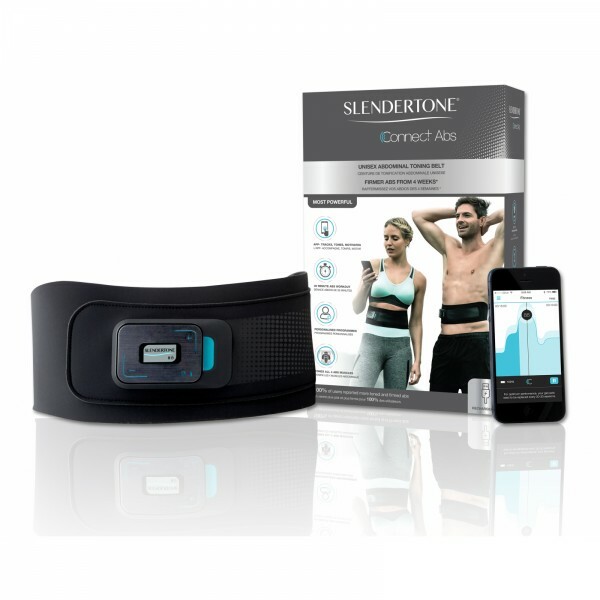 Studies under the direction of Dr. John P. Porcari of the US Amercian University of Wisconsin-La Crosse (2005 and 2009) came to the following results: 100 percent of all users of the Slendertone Connect told about tighter, more defined abdominal muscles after six weeks of EMS training. The test persons achieved 49 % stronger abs on average after four weeks. After eight weeks of training, they achieved a reduction of the waist girth of 3.5 cm on average. 54 % of the users told about a better posture after four weeks of toning. That's quite a motivation!